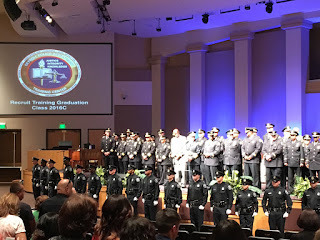 With the recent racially charged events as a backdrop, I attended the graduation ceremony of my nephew, Kevin Sims Jr., from the Detroit Police Academy. Our entire family is extremely proud of his achievement. I won't go into his story that led him to become a police officer, but it was not an easy path. We are extremely proud of his ability to persist and accomplish his goal. 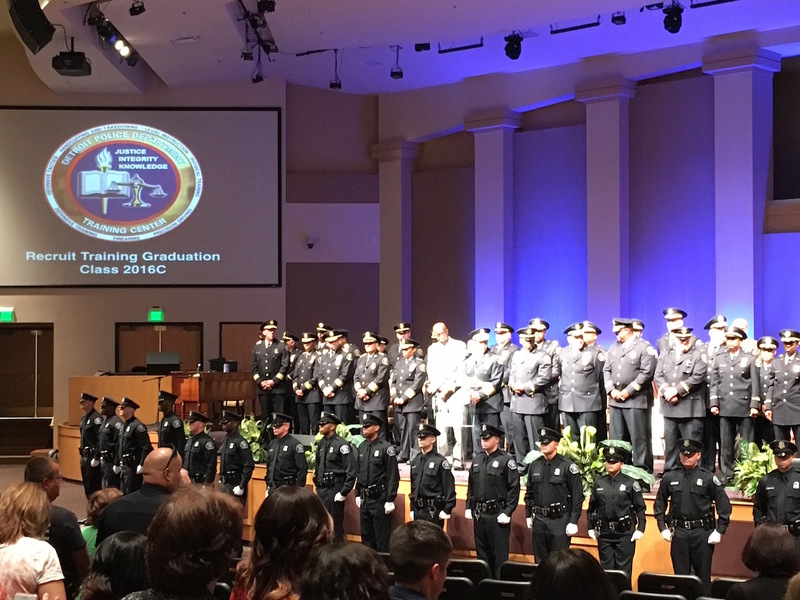 At the ceremony, the Chief of Police, James Craig, did an excellent job in his address to the graduating class, and he also honored the officers in Dallas. Each graduating class of cadets chooses one of their members to be the speaker at the ceremony. My nephew, Kevin, was chosen by his peers to deliver the speech. Besides the fact that I think he did an awesome job, I also want to post his speech to remind those that may not always think about it, but the vast majority of police officers are good honest people, and they are sons, daughters, brothers, sisters, husbands and wives, essentially cherished family members. Congratulations Officer Sims! Your uncle loves you and is proud of you. Watch the video below, and I'm sure you will agree with me that he did an wonderful job, and congratulations to all of the Detroit Police Recruit Training Class 2016-C!